On Monday 26th February 2018, three parishes from the Archdiocese of Cardiff will play host to a Sister of Our Lady of Mercy for a Lenten Talk and period of prayer on the Divine Mercy. 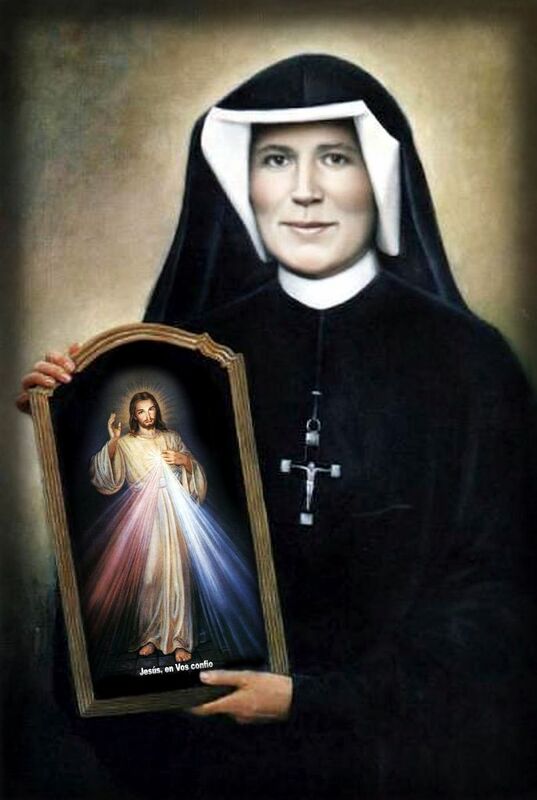 The Sisters of Our Lady of Mercy are the religious order to which St. Faustina Kowalska, the saint who received the visions of Jesus the Divine Mercy, and to whom he entrusted the message and devotions of Divine Mercy. Throughout her life, Jesus appeared to and conversed with St. Faustina in her native Poland. The three main themes of the devotion to Divine Mercy are to ask for and obtain the mercy of God, to trust in Christ’s abundant mercy, and finally to show mercy to others and act as a conduit for God’s mercy towards them. Lent is the season of Repentance and Mercy and provides a great opportunity for discovering more about this wonderful Devotion. Popes St. John Paul II, Benedict XVI and Francis have each commended the devotion to Divine Mercy to the world and have subsequently visited the Divine Mercy Sanctuary in Krakow Poland. The two sisters are visiting Wales as part of a parish Mission in Swansea and will be making the journey from the Divine Mercy Sanctuary in Poland.